Why Choose Daycare for your Dog? 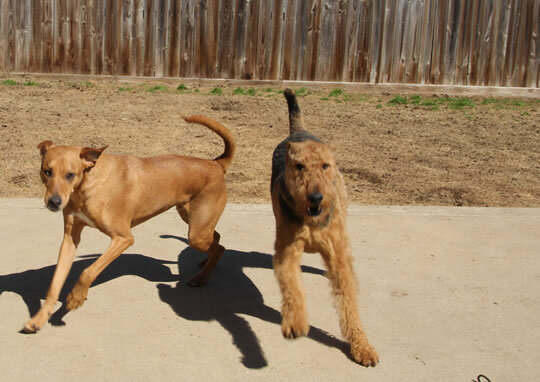 Daycare, whether once a week or daily, provides fun & exercise for your fellow four-legged friend. All Guests, whether spending the night or staying with us for the day, play in our outside yard 4-5 times a day. 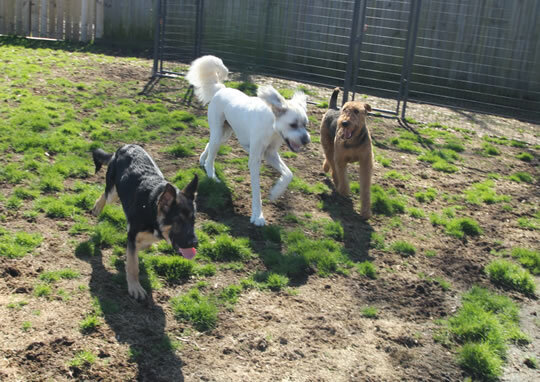 Daycare for puppies and younger dogs, provides early socialization, exercise (to wear out that energy! ), as well as builds confidence in you pet. Daycare can help “boredom issues” in pets, such as chewing, digging, and destroying.